Spanning a baseball fan’s life, this memoir explores hero worship, coming of age, and obsession. Paul Kocak grew up in Stamford, Connecticut, as a New York Giants fan in baseball’s golden age. When the boy’s team moved to San Francisco after the 1957 season, he became a fan in exile. Mostly because of Willie Mays, he stayed with the team that abandoned him (though he did try to reach out and touch Mays by phone). 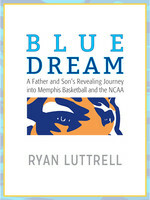 We relive backyard fantasies of fathers and sons and brothers and buddies who play Wiffle Ball and Hitting Them Out. We learn of a heart-breaking teenage drowning of the narrator’s neighbor, a Dodgers fan. The chronicle’s time line coincides with the assassination of JFK, the Beatles’ bursting onto the scene, the Cuban Missile Crisis, the Second Vatican Council, and the Vietnam War. Kocak’s journey features encounters with Hall of Famer Willie McCovey, former Cy Young winner Vida Blue, commentator William F. Buckley Jr. — and Willie Mays. 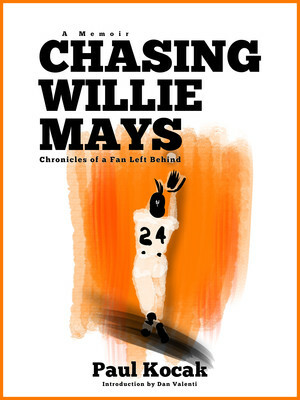 With a subtext of addiction and recovery, Chasing Willie Mays travels coast-to-coast and into the soul with grace, insight, and humor. 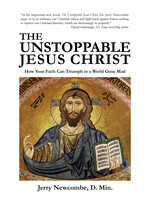 Paul Kocak is the author of Baseball’s Starry Night, which Pulitzer Prize-winning historian Doris Kearns Goodwin called “a magical book about a magical night.” Born in Stamford, Connecticut, he lives in Syracuse. This is his seventh book. 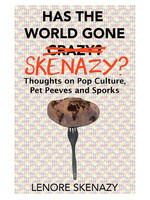 Has the World Gone Skenazy?